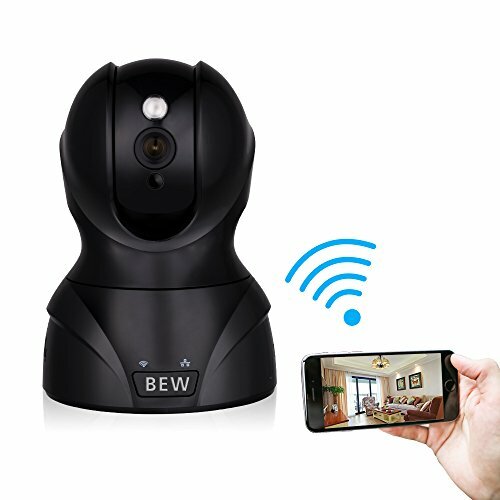 BEW wireless video camera guard your home all day and night. It supports 3 steps installation by simply scanning the QR code on the manual. This camera also bears a 360° super wide angle lens, IR-LED night vision. With smart 3D noise-reduction technology, 1/3 industrial CMOS image sensor and super Hi-Vision AR lens make images more crisp and clear. 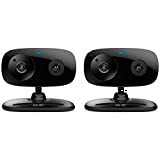 Videos can be recorded to 64G micro SD card or 2TB cloud box (not included), the IP camera not only can add security to your office, dorm room, shop, company or vacation home but also keep an eye to your baby, parents and lovely pets. • With 18 Months Warranty and Lifetime Friendly, Easy-to-Reach Support. Verifi P5100 Pr ... for Windows 7/8/10.